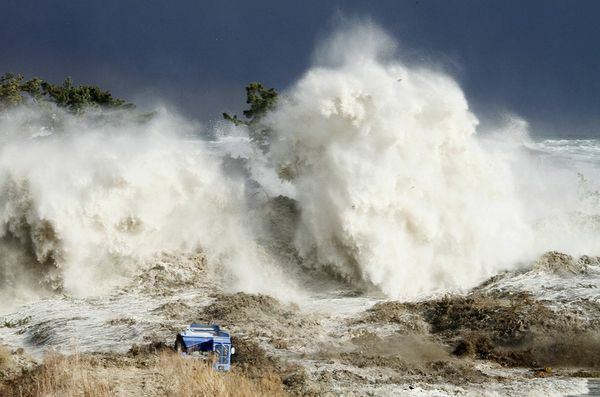 Disaster in Japan – A Forewarning? It makes this writer wonder what Pelosi knows about ‘biblical proportions’. The rainbow is a reminder that God wouldn’t destroy the world by flood again; but with the tsunami’s and Katrina, just maybe He is surely thinking about it. Events of Biblical proportions include the reason for Noah’s Ark, and this was more than a tsunami; and don’t forget the fires of Sodom & Gomorrah; the Ten Plaques of Egypt and even the Tower of Babel. Nancy, are these Biblical or unbiblical proportions? Feel free to RSVP. I could only wonder what knowledge the Mayor had of his own city, prompting his educated guess about the situation, as he sees it. This morning, the question was answered; NPR played part the comment, reportedly, from the Tokyo Mayor himself: ‘…because of selfish greed, the city was under judgment’. Congratulations to anyone who recognizes greed. Often those guilty of it, either don’t recognize it; or, they try to justify it. People who take $11M severance packages (Blue Cross/Blue Shield, MA); people who earn millions of dollars each year (more than most make in a lifetime) and then take additional multi-million dollar bonus’ from struggling corporations (Bankers, Auto Industry, Colleges) need to do some deep thinking; they need to take a long time in deep reflection; and, they need to do lots of looking at the devastation in Japan, while considering the possibly prophetic statement of that concerned man. What does a Mayor of a large city in a non-Christian Nation know that a representative from California, in a once Christian Nation, does not know? He knows that there are consequences to our actions and consequences to our internal motives. He has revealed that he knows there is a (G)od who is to be answered to, one way or another. Here in America, some Corporate CEO’s are “pushing the envelope” regarding cutting costs and quality at the same time they are raising their own salaries and bonuses. How can someone reward themselves for a failing company? 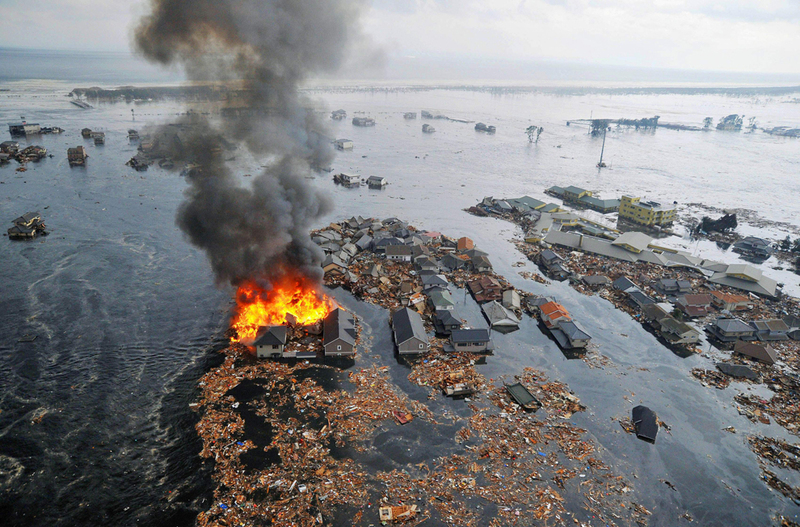 Couldn’t that fit in with the Mayor of Tokyo’s comments about judgment or divine retribution for selfish greed? Anyone in America saying “Ouch” yet? Is repentance an option? “Many people have heard somewhere about basic themes of mankind’s connection with God…judgment for evil, a sovereign God, the end of the world is indeed coming, preceded by great signs in the natural world. I say again: Japan is not known as a Christian nation, yet the Mayor has a sense of a Supreme Being capable of discipline. If a Japanese man can link selfish greed and egoism with natural disaster, maybe he knows something we are afraid to acknowledge? I go on record as saying the Mayor has a better understanding of what is Biblical and why, than does Pelosi…and that it could very well be a warning to America. How many will really hear it and come to repentance? 11 “Wail in sorrow, you people of Jerusalem. All your greedy businessmen, all your loan sharks-all will die. one is free to draw their own conclusions. This entry was posted in Disaster in Japan and tagged disaster in Japan, divine retribution, Mayor of Tokyo, political egoism, selfish greed, unbiblical proportions. Bookmark the permalink. 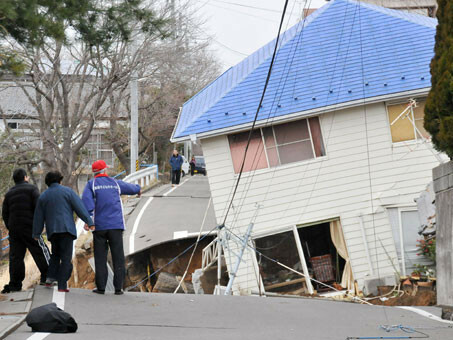 2 Responses to Disaster in Japan – A Forewarning?